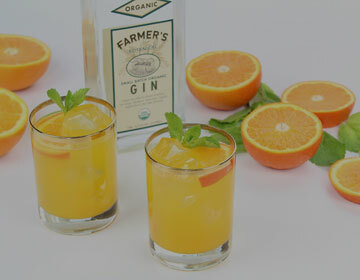 Farmer’s Organic Gin is made in small batches from carefully selected botanicals and the purest grains. 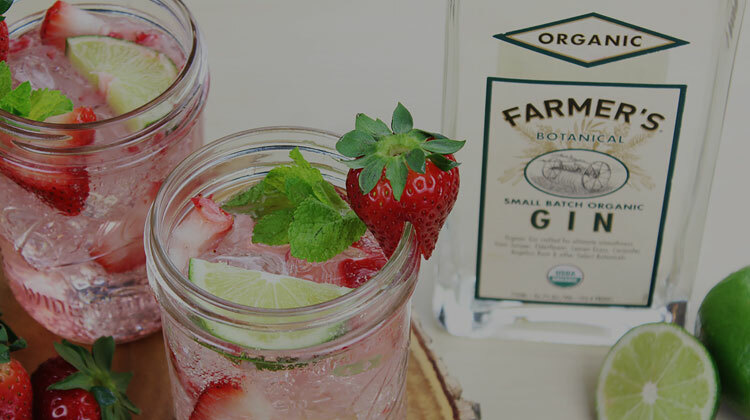 Providing a pristinely clean palette for the artful infusion of botanicals, the distillate is made from sustainably farmed grain grown in the U.S. Certified organic by the USDA, Farmer’s Gin possesses a complexity and unique taste profile due to its remarkably balanced selection of botanicals, including juniper, elderflower, lemongrass, coriander, and angelica root. Tasting Notes: On the nose, the elderflower competes with the juniper. In the mouth, the other botanicals reveal themselves, including lemongrass and coriander. Notes of celery and a sweet licorice flavor round out the profile. 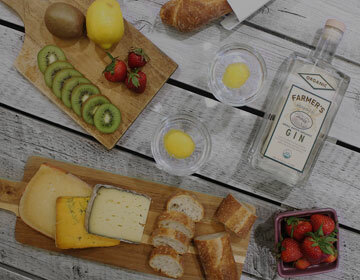 Small batch organic gin with remarkably balanced flavor. 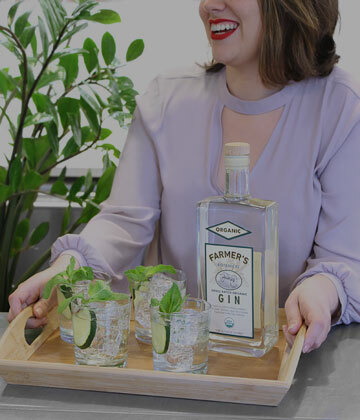 Produced with a proprietary selection of the finest botanicals including juniper, elderflower, lemon grass, coriander, angelica root, and others. Uses organic (GMO free) grain. Bright and citrusy on the palate. Shake ingredients with ice, strain into a rocks glass, and top with a healthy splash of ginger ale. Combine ingredients in an ice-filled Collins glass and garnish with a lime wedge. Combine all ingredients in an ice-filled Collins glass and garnish with a lemon wedge. 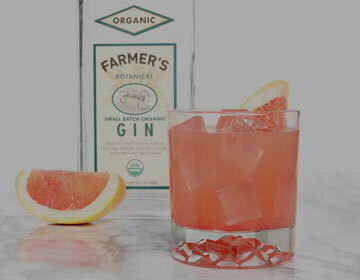 Shake ingredients with ice, strain into martini glass, and garnish with a grapefruit peel. Combine ingredients in an ice-filled Collins glass and garnish with a maraschino cherry and an orange slice. In a cocktail shaker dry muddle arugula, add other ingredients, shake with ice and strain into a martini glass. Dry muddle arugula, add ingredients, shake & double strain into martini glass. Great gin starts from the ground up. Small batch organic gin with remarkably balanced flavor due to a unique selection of botanicals. 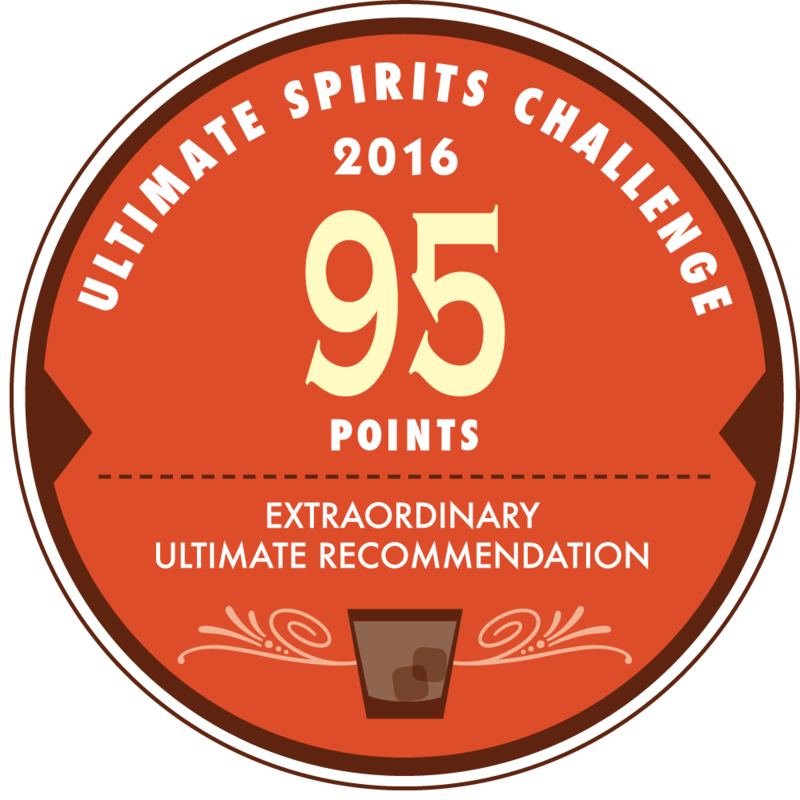 At Farmer's, we are committed to the responsible consumption of alcohol.